New mobile phone towers will be built at Cape Conran and Manorina (near Bellbird Creek) under round four of the Federal Government’s $220 million Mobile Black Spot Program. Federal Member for Gippsland Darren Chester announced Licola would also have improved mobile phone access via a small cell upgrade. “Upgrading mobile phone towers are important steps to improve mobile phone coverage across the region, benefiting businesses and visitors,” Mr Chester said. “Connectivity in all its forms, including mobile phone and internet coverage, is critical to the economic growth and prosperity of regional Victoria. “But more importantly in emergency situations, like a car crash or bush fire, improved mobile phone coverage will help to save lives. 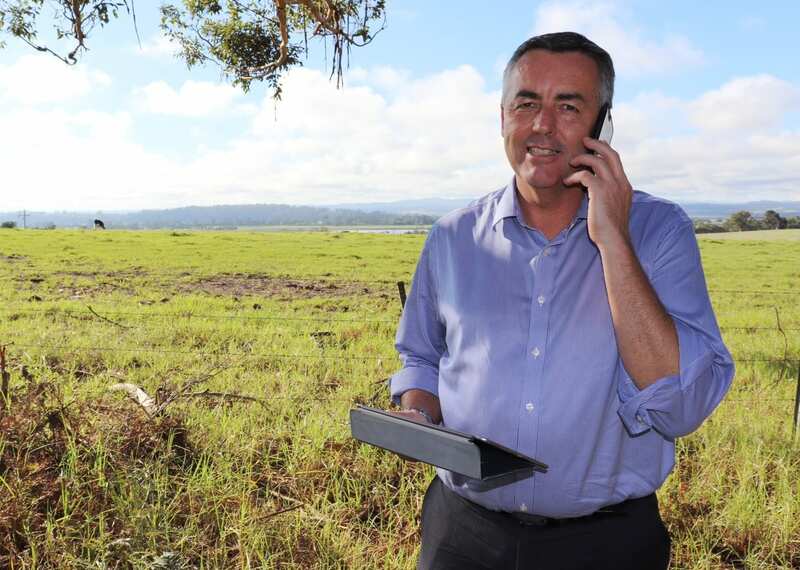 Twelve mobile phone base stations in Gippsland have been built or upgraded under previous rounds of the Mobile Black Spot Program at locations including Benambra, Buchan South, Sarsfield, Lake Tyers, Tongio, Dargo, Butcher’s Ridge and Bonang. Minister for Regional Services Bridget McKenzie said the two new base stations in Gippsland were among 180 to be built across Australia for regional and remote communities. “The announcement of successful round four base stations means 1047 base stations are being delivered under the Mobile Black Spot Program. This reaffirms our commitment to delivering 21st century connectivity to our regions and will benefit thousands of Australians,” Minister McKenzie said. The Mobile Black Spot Program enables mobile carriers to service areas where it would otherwise not be commercially viable. So far, the program is generating over $760 million of new investment including contributions from state and local governments, mobile network operators, businesses and local communities. Base stations announced under the first three rounds of the program are expected to be operational by June 30, 2019. The first of the new base stations announced under round four should be activated by the second half of this year.